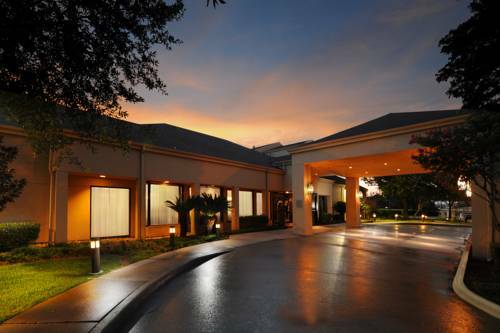 Simplifying the travel process, Courtyard Houston Hobby Airport provides an array of complimentary amenities including Wi-Fi access and airport shuttle service. Just 2 miles from William P. Hobby Airport (HOU), our hotel makes getting to your destination quick and easy. After an exciting day of work or play, make yourself at home in spacious rooms and suites featuring ergonomic workspaces, luxurious bedding and flat-panel TVs with premium cable channels. When it's time to refuel, head to The Bistro - Eat. Drink. Connect. , located in our lobby. Work off those mouthwatering meals in our state-of-the-art fitness center, then cool down with a dip in our outdoor pool. During your stay near Hobby Airport, visit other notable destinations nearby such as the Toyota Center, Minute Maid Park, BBVA Compass Stadium, George R. Brown Convention Center, Kemah Boardwalk, Johnson Space Center (NASA) and NRG Stadium. Whether traveling on business or pleasure, we'll do everything we can to ensure your stay is a success. - S&B Engineers & Constructors, LTD.